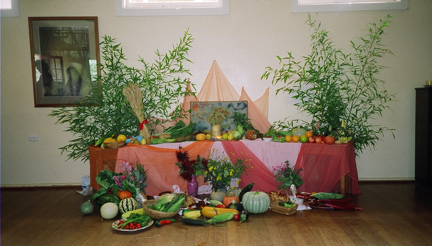 Mabon is the second of three harvest festivals. as we move deeper into the descent to winter. Add this to the energy of Autumn, and as we see in our gardens, we also have the opportunity to see and enjoy our ‘harvest’, the fruits of our labours – literally and metaphorically. Autumn sits in the west on the wheel of the year, and represents all the same energies and qualities of dusk, sunset, and the energy of early evening, the move toward and into the darkness. The descent is happening. We move now into the yin part of the circle in the cycle of the seasons. Depending on how you feel about letting go and ‘coming down’ from the high of summer, will influence how you experience the energy of this season. The bottom line is that the letting go and the descent in to the dark is inevitable, so we may as well ‘go with the flow’, if we don’t, some how or other Nature and our nature will take us there anyway. That’s not a threat to conform, but rather an invitation from Mother Nature to be with one of the greatest opportunities and lessons in life, to be present with what is, and at this point in the cycle what is happening is the slowing down, going inward and letting go of all that no longer serves you. Most people I talk to love Autumn, perhaps that’s because its such a relief after the intensity of Summer. There’s lots happening literally and metaphorically in Autumn, it’s a busy time and also a reflective time. The heat starts to come down, and the harvest is there, or not! The wisdom of the cycles, so apparent in Autumn, is about the harvest and the letting go. This season invites inner reflection and metaphoric pruning. The Autumn Equinox is the time of equal day and equal night, of masculine and feminine balance. A time for us to give thanks for balance in our lives, for harmony, and as we see in our gardens, we also have the opportunity to “ let go”. What do you need to let go of in order to find more balance in your life? What needs to be ‘pruned’ or what ‘leaves’ need to fall? What sacrifices do you need to make to have balance? Notice how it feels to contemplate that, see your attachments. The ‘fruits’ you are harvesting now, are what you have to sustain you through the winter months when there is no outward growth. The ‘fruits’ also hold the ‘seeds’ of what will grow in the next growth cycle, they hold the lessons available to be learned from all you’ve done this growth cycle so far, since the beginning back in Spring earlier in the year. Notice how you feel the energy of this part of the Earth’s season affecting you. Notice what you need to notice, learn what you need to learn, change what you need to change and heal what you need to heal. That’s the opportunity, that’s the gift. Journal about what your harvest is, are you happy with that? 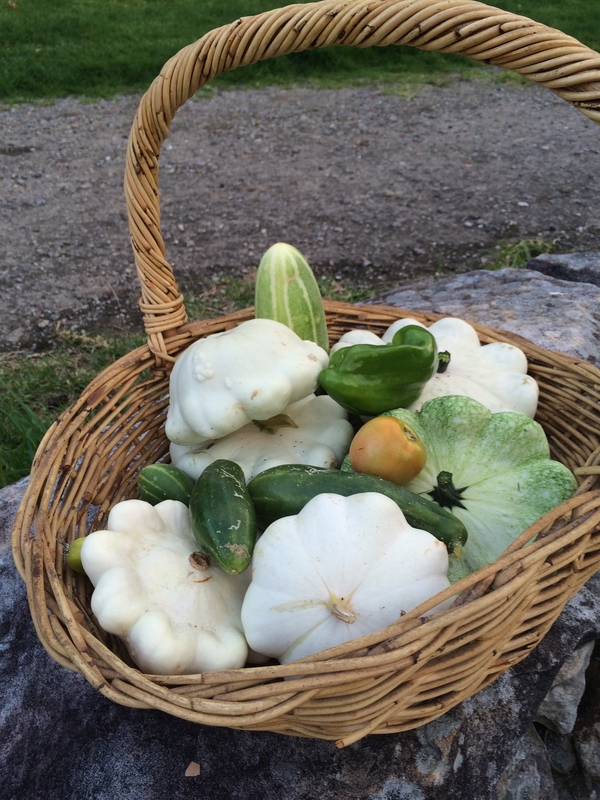 Do you need to bring in or gather other things to sustain you for the rest of autumn and up coming winter? The harvest festivals continue into Autumn. The seeds from these harvests will go back into the Earth, gestate over the Winter, and be what will be reborn in the Spring. This happens literally in the garden and metaphorically in our lives. then you might choose to plant different ‘seeds’ for your new growth cycle next Spring. Make new plans, start new ways so you don’t repeat anything that didn’t work so well from the last cycle. Autumn is a time for reflection and learning what worked and didn’t work. This same cycle and opportunity occurs each lunar cycle and menstrual cycle. Our community gathers together for a fire ceremony. Everyone brings with them a leaf (or several) on which they have written whatever they intend to let go of or leave behind. We go around the circle and one by one these are cast into the fire. Then each person speaks, in the manner of giving thanks, for that which they have harvested this cycle of the seasons. You could do your version of the ceremony above with your family or friends or alone. You can cast a circle to start, invoke the directions and the Goddess and give thanks for protection, guidance, nurturance and support as you do your ceremony.